Внимание! Для игры необходима активированная и установленная русская версия StarCraft II: Wings of Liberty. 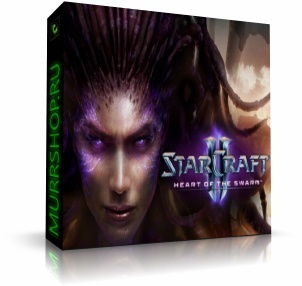 StarCraft 2: Heart of the Swarm RU ключ для скачивания 399 р.
StarCraft 2 Heart of the Swarm (SC2 HotS) EU RU 445 р.
StarCraft 2 II:Heart of the Swarm (RU/EU/US)+ПОДАРОК 449 р.
Starcraft II Heart of the Swarm (ключ Battle.net) РУС 450 р.
StarCraft II: Heart of the Swarm (RUS) + ПОДАРОК 495 р.
StarCraft 2: Heart of the Swarm ДОП (RU) Photo CD-Key 499 р.
STARCRAFT 2: HEART OF THE SWARM (US) + ПОДАРОК - CКИДКИ 919 р.